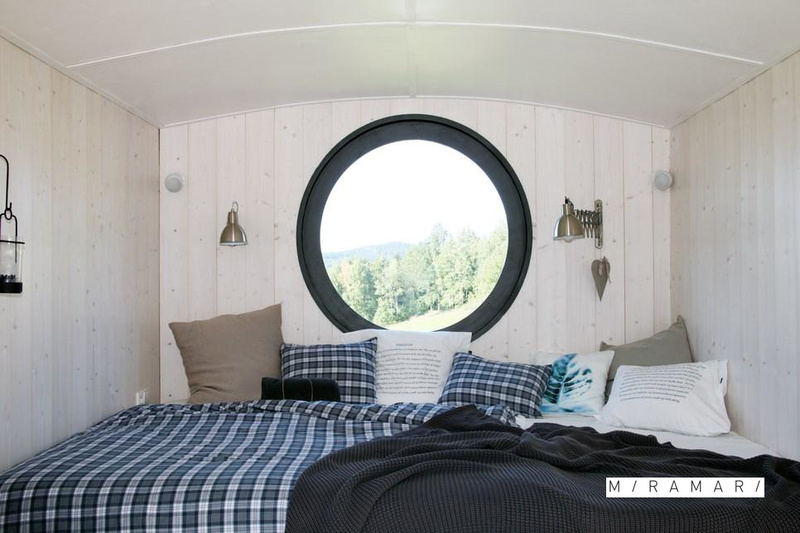 Czech out this modern tiny house from Prague! 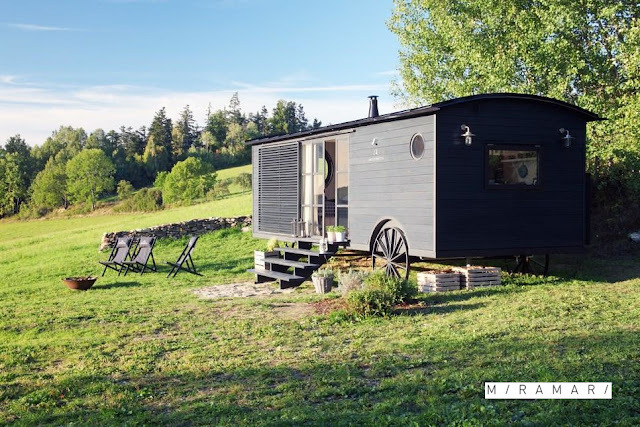 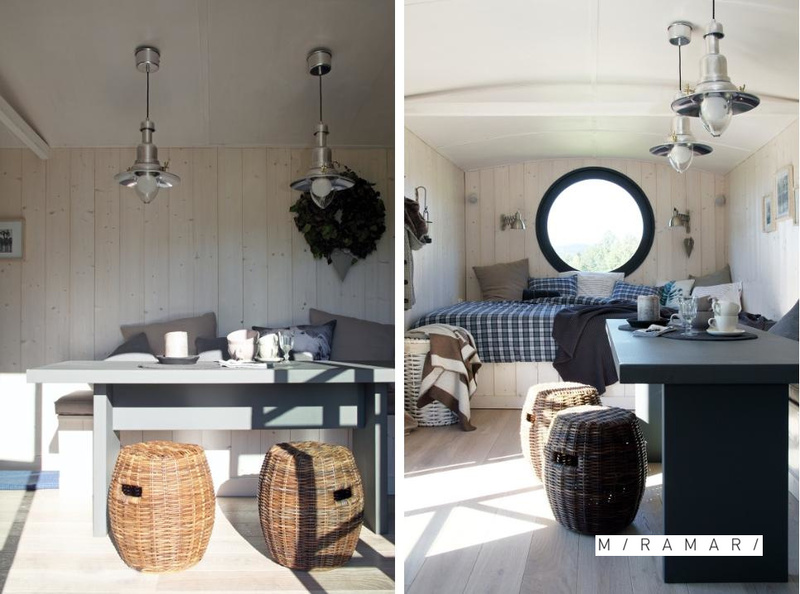 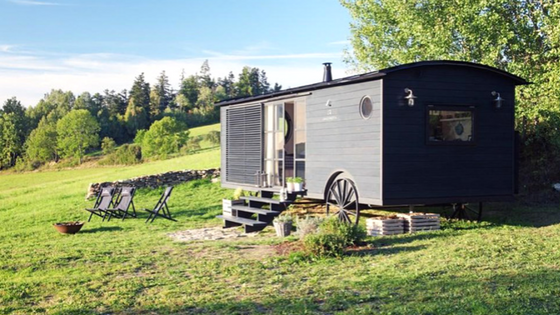 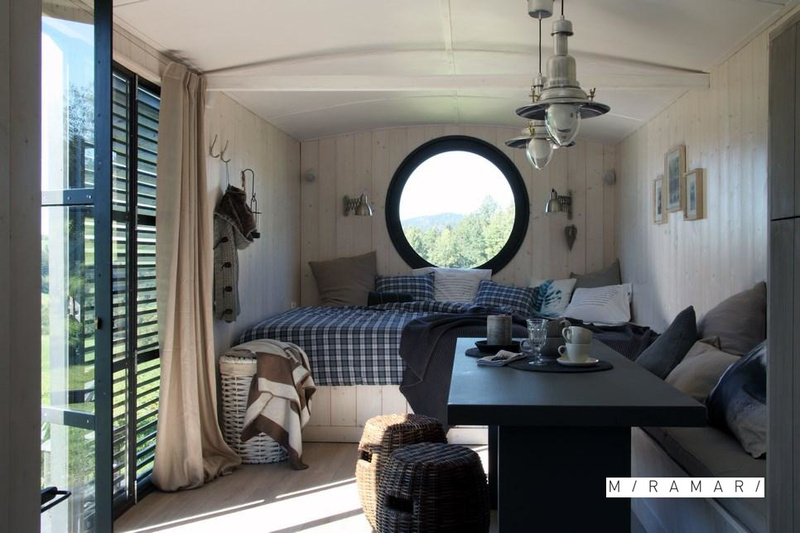 Named the "Maringotka", the home is a new and modrn take on the traditional caravan. Designed by Czech architecture firm, Miramari Designs, the house is designed for someone looking to downsize without sacrificing quality and/or style. 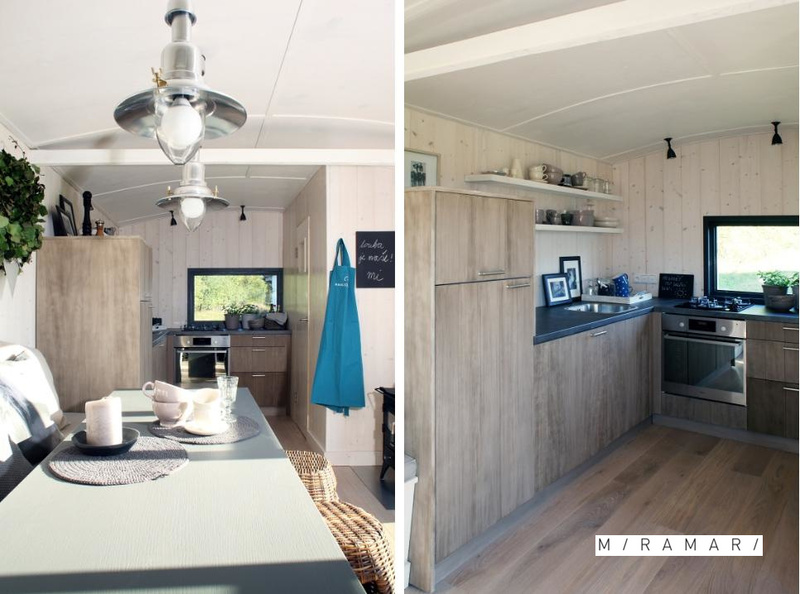 The home measures 3.8m x 8m or 12.5 ft x 26 ft with an interior size total of around 327-sq-ft. Its simple singular-level layout includes a full kitchen, a roomy dining space, a bathroom, and a bed. 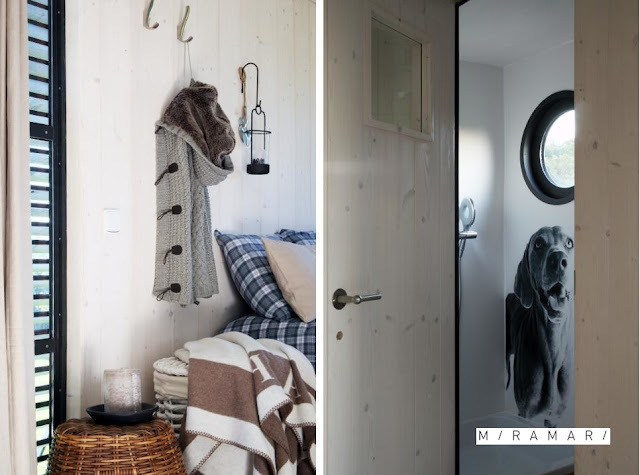 The Maringotka in composed of a sturdy steel frame clad in a dark-stained wood exterior, which contrasts nicely with the home's light and bright interior. 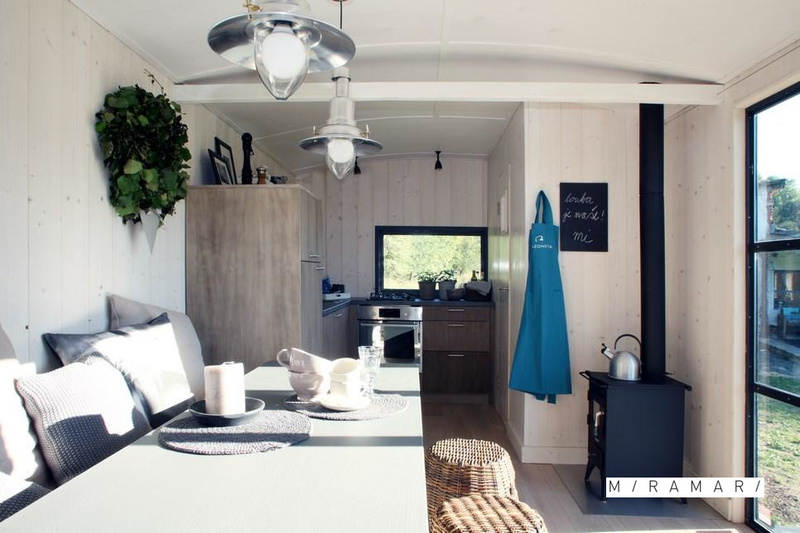 The starting price for the Maringotka Caravan starts at 650.000 KČ (around $29906 USD) and increases with customizations and added options. 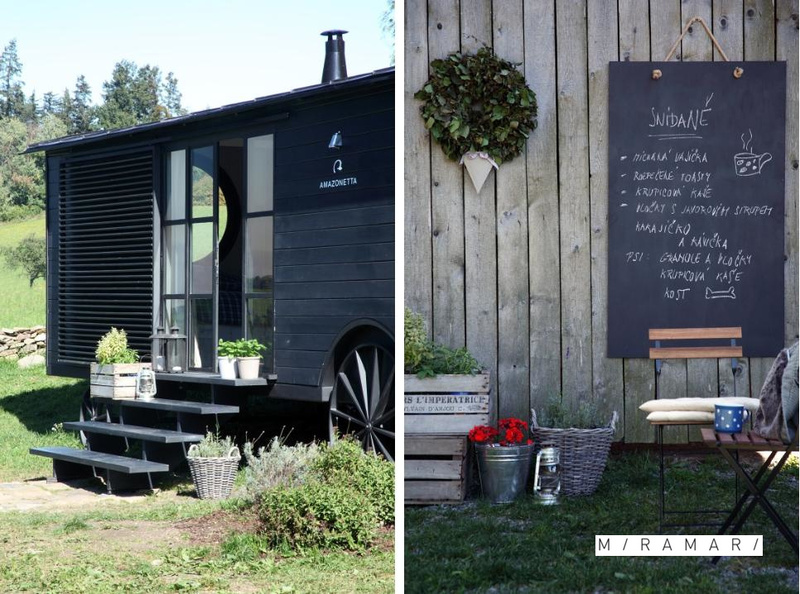 Feel free to reach out to Miramari Designs here for further questions and/or inqueries!